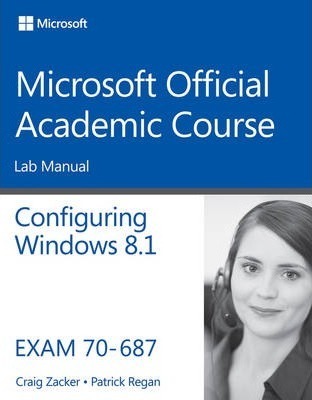 The Microsoft Official Academic Course (MOAC) Program is the official product for Microsoft Programs in higher education. These learning products are created especially for the academic market and combine the business world focus and market research of Microsoft with 200 years of successful higher education publishing from Wiley. The program is based upon the same curriculum as the Microsoft IT Certifications to build the skills students need to succeed at work and the preparation they need to validate those skills and get the jobs they seek. All the support instructors need to deliver great courses on Microsoft software is in the program. Student copies of the textbooks include the trial software in select markets and student files for completing homework assignments. Microsoft Updates will bring you the latest information on new products and curriculums and are a part of the program. MOAC is a great way for instructors to get ready to teach and for students to get ready for work.